Anthony Ruberto brings 82 big blinds to the final table, followed by Taylor Black with 81. It was another 12-hour day for the final nine players that bagged up their chips in the partypoker MILLIONS North America $5,300 Main Event. When all was said and done, Anthony Ruberto bagged the top stack with a mind-boggling amount of 409,000,000 in chips. Day 4 began with 51 players returning to their seats and it didn't take long for the short stacks to start hitting the rail. Ludovic Geilich was eliminated on just the second hand of the day and Antonio Esfandiari wasn't far behind him. Both came into the day with a lot of work ahead of them but were quickly bounced from the tournament. 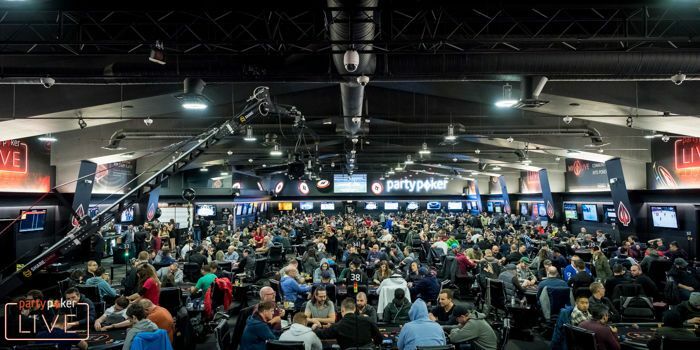 Some other notables to fall short of their ultimate goal today include partypoker Sponsored Pro Richard Dubini, Team Online Pro Renato Nomura, Marvin Rettenmaier, Ema Zajmovic, Kevin Rivest, and Marc-Andre Ladouceur. Ruberto was just limping along with around an average stack for the majority of the day until he really turned up the heat in the last two levels. It started when he flopped two pair against the top pair of his opponent and found himself a double up. That led to Ruberto eliminating Joseph Cheong not long after in 11th place, and then he also picked up a few pots at the unofficial final table. Ruberto has over $2.2 million in career earnings but is well on his way to topping his largest score of $325,928. 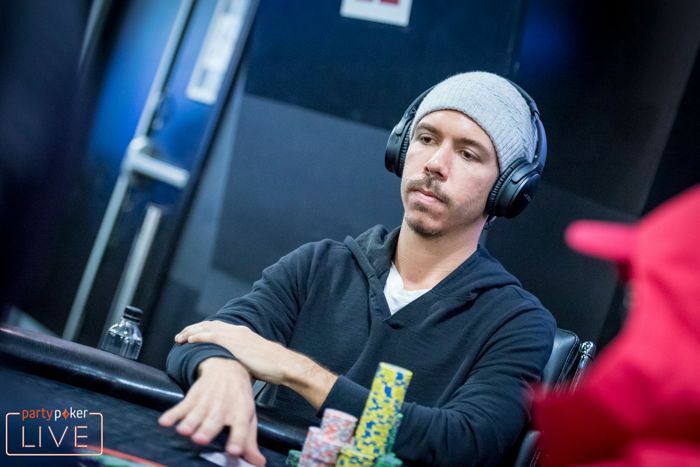 Heading into the final day, Ruberto holds a narrow lead over Taylor Black who is currently sitting at 406,000,000 in chips. Black will be looking to push his career earnings over the seven-figure mark as he currently sits at over $980,000. 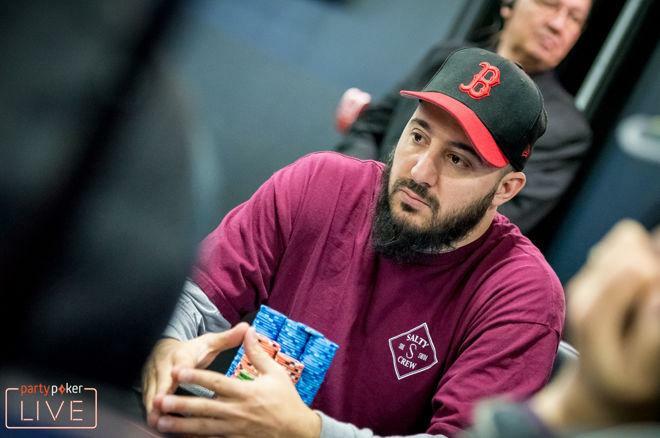 Making a deep run in a large-field tournament is something Black may be used to after finishing second in the 2017 WSOP $565 The Colossus III for over $500,000. Darryll Fish (152,500,000) is probably the most well-known player of the final nine remaining and he can thank his lucky star to still be alive. Fish had a rollercoaster of a day going from chip leader to the short stack on multiple occasions. Most notably, once the final nine assembled at one table, Fish found himself all in holding pocket tens against the ace-king of two opponents. Fish held on and scored himself a triple up as he put his hands together to pray. It will be a dogfight for the final nine positions when Day 5 begins, with every elimination meaning a significant pay jump for those remaining. Ultimately, everyone will be in search of the top three prizes that are all guaranteed to pay at least $1,000,000 and the winner taking home $1,400,000. Day 5 will kick off at the beginning of level 37 with the blinds at 2,500,000/5,000,000 and a button ante of 5,000,000. The blind levels will continue at 60-minutes in length until heads-up play where they will then become 30-minute levels. The action will continue until a winner is crowned and the PokerNews live reporting team will bring you all of the live updates on a 30-minute delay to remain in sync with the live stream.